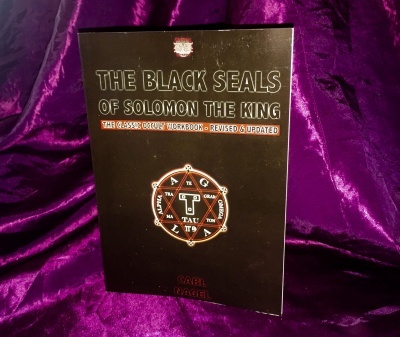 In 1989, cult British Publishers, Finbarr International, published the very first edition of the classic work, "The Black Seals of Solomon the King", by Goetia expert Carl Nagel. It went on to become one of Finbarr's best-selling Occult Guidebooks of all time, with numerous testimonials as to its devastating efficiency. In 2016, Daemonic Dreams purchased the full ownership rights of 'Black Seals' from Finbarr, and released a definitive Revised and Updated edition for the 21st Century. 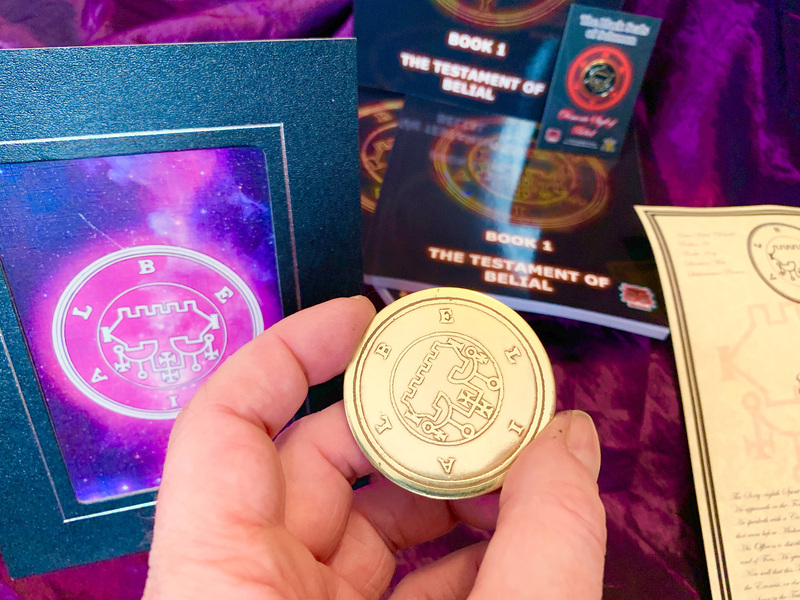 Now, continuing the Black Seals legacy, we're thrilled to release the first of a very special series of books, each focussing on a specific Demon from the Goetia of the Book of Solomon. Each of these titles comprises a complete Ceremonial Set, the likes of which has never been available anywhere... until now! 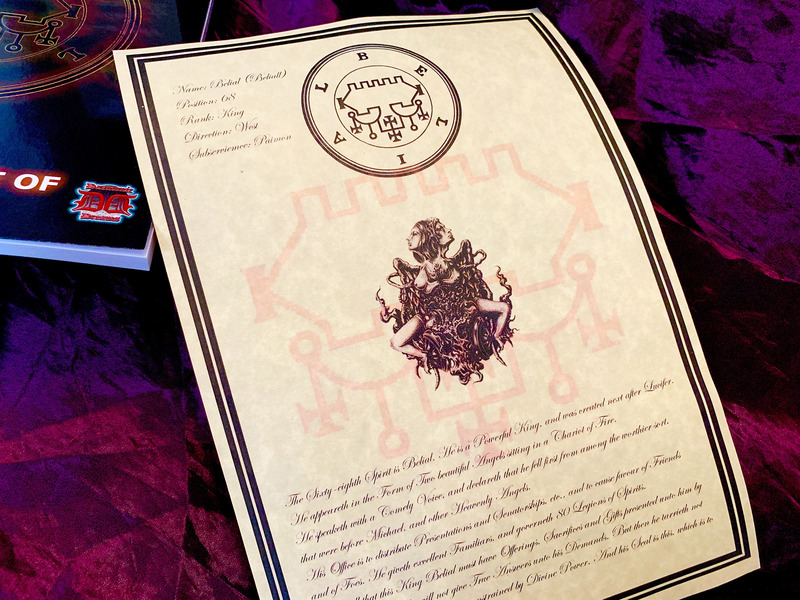 Included within The Testament of Belial set, you will find your step-by-step guidebook, a framable parchment scroll, detailing the specifics of Belial, his stations and his capabilities, and an Altar Stand with Belial's Sigil. 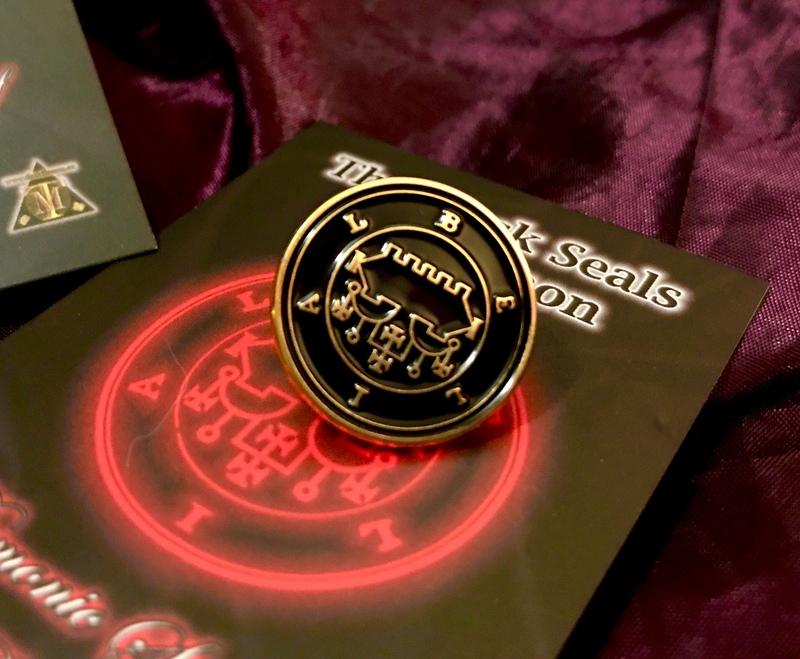 Also included is a beautiful yet discrete enamelled Belial Clasp Pin, and a 50mm (Approx.) Solid Brass Seal, each which has been individually hand-crafted and consecrated in line with Solomonic Tradition; these pieces are UTTERLY UNIQUE, and available nowhere else! 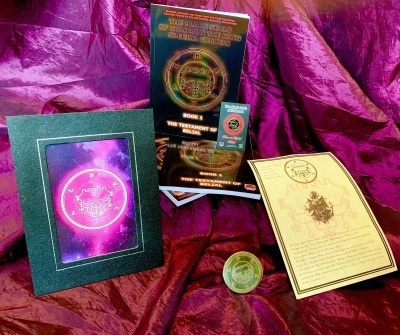 Within the pages of this remarkable book, you will find precise, step-by-step instruction on a number of methods and techniques for summoning and working with the Demon Belial. Also detailed is the vital License to Depart rite, for your complete peace of mind. 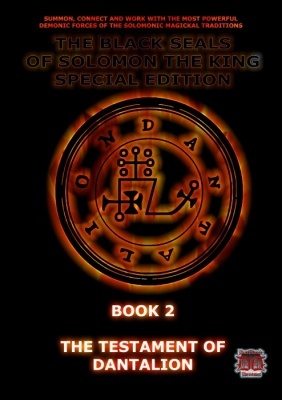 The Second Title in our Black Seals of Solomon Series - a Complete System of Working with the Goetic Spirit, Dantalion. upon hundreds of ordinary people around the world.